Hiring an IT solutions company has become standard for SMBs that need specialized IT services. Thanks to advancements in virtualization and automation, partnering with an IT solutions company is typically more cost effective than hiring an in-house IT department. It’s also more reliable than hiring a temporary IT person for one-time fixes. But managed IT services companies aren’t one size fits all. As your SMB grows, your IT support needs to grow with it. Sticking with a managed services provider that doesn’t fit your needs could lead to a drop in your business’s productivity level and affect your bottom-line. An IT solutions provider that doesn’t offer proactive approaches to technology or only seems to be fixing broken things will drag your company down. Ad-hoc fixes make it easy to lose sight of your big picture goals. They also rack up your service bill instead of helping you control IT costs. Hardware and software updates are being released with more frequency than ever. These updates fix bugs and patch holes in security. When your computer or software is outdated, security holes open that put your business at risk. Updating your devices ensures your company is protected against cyber threats. If your managed IT solutions provider stands idle or falls behind on upgrades, your SMB is at risk to be harmed by malicious threats that fall through the security gaps. Your employees will feel more productive if they have easy access to Internet applications, email, and mobile devices. Your IT solutions provider can help your business be more productive by making sure employees have the technology and systems they need to succeed. SMBs are prime targets for cyber criminals. However, many SMBs don’t invest in the proper security to prevent against cyber attacks because most believe they’re too small to be targeted. Ignoring these safety checks opens your business to risk. Managed services providers should have a documented policy for security checks and offer responsive service to all emergency support tickets. Seeing familiar faces come into the office to provide computer support is a good sign of a quality IT solutions provider. An established IT team helps technology resolutions happen quickly. When the same team of IT experts comes into your office time after time, they will understand your IT challenges, know your systems, and become part of your team. On the other hand, if a different technician comes into your office each time, you have to start from scratch. These techs need to learn the cloud applications you use, the security rules set in your firewall, and the goals of your business every single time. Not having a familiar team of IT experts slows things down and affects the quality of your technology solutions. IT support issues such as frequent downtime, sluggish technology, and increased cyber threats cause employee productivity and customer satisfaction to drop. When employees struggle with technology, it takes their time away from providing excellent customer service. Companies can’t afford to let a worn out relationship with their MSP affect their customers; in 2014, US businesses lost nearly 41 billion alone due to poor customer service. Partnering with a quality managed IT support company can make a positive impact on your bottom line. When you spend less time struggling with technology, your time is free to invest in the parts of business that you enjoy. 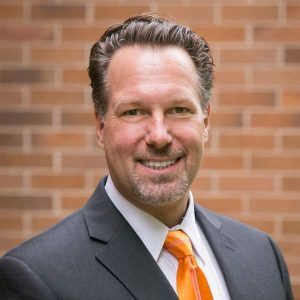 As CEO of Pegasus Technologies, LLC, Matthew Tucker brings a rare combination of leadership attributes, technical expertise, and experience in the Information Technology industry. Matthew Tucker is responsible for the annual operating business plan as well as strategic direction. His strong commitment to the company’s growth is evident in his personal involvement with developing the current management team, as well as building the future leadership. Matthew Tucker works closely with the Executive staff to develop and monitor policies and procedures for ensuring the growth and stability of the company. Matthew Tucker’s passion for the company and staff is reflected in his continued efforts to ensure the company culture reflects its key values: personal growth, available management, and recognition of accomplishments.